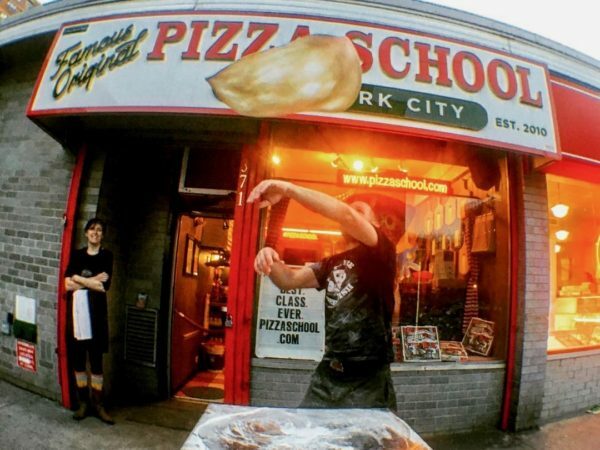 NEW YORK CITY’S #1 PIZZA-MAKING (AND EATING) EXPERIENCE! At Pizza School NYC (formerly known as Pizza a Casa) sharing our knowledge and passion for pizza has been our mission since we opened our doors in the Spring of 2010. Our school attracts pizza lovers from around the globe, all of them seeking the secrets of pizza-making perfection — no pizzeria oven required. The proof is unbelievable pizzas that our students create (and eat!) in our totally hands-on classroom. We look forward to making pizza with you soon!